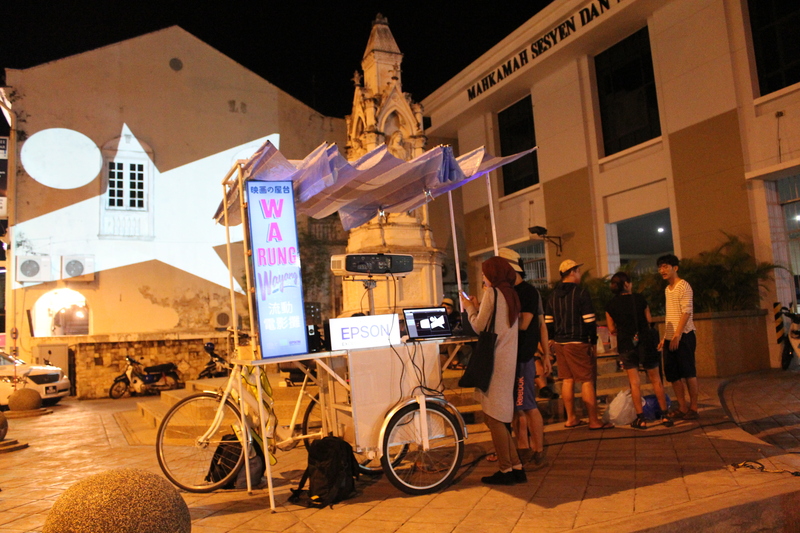 Inspired by Penang’s landscape of mobile units; the beca, hawker stalls, the bengali roti man; Warung Wayang is a mobile sound & projection mapping unit that is used to peddle stories around several locations in George Town. 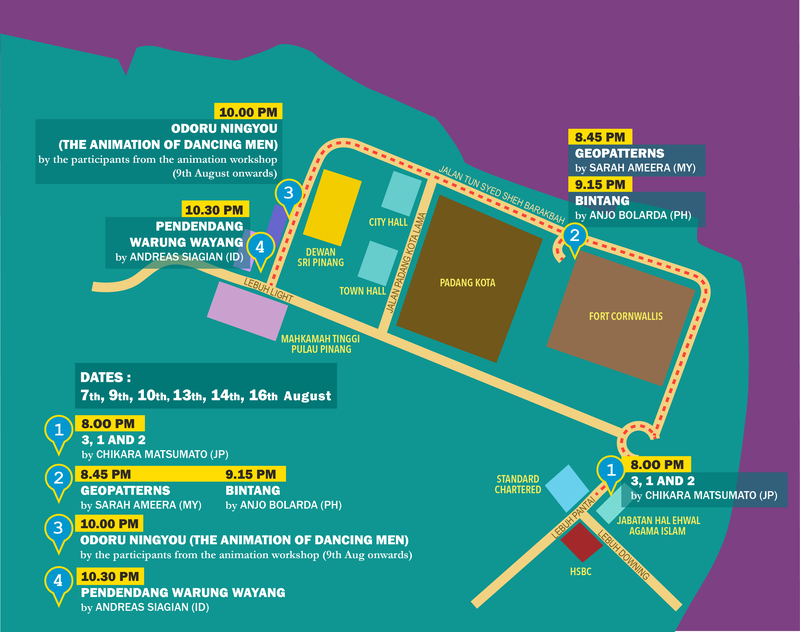 Map of Warung Wayang route. Artists from various practices have been commissioned to create time based works on the theme of ‘culture utopia’ or culturetopia. 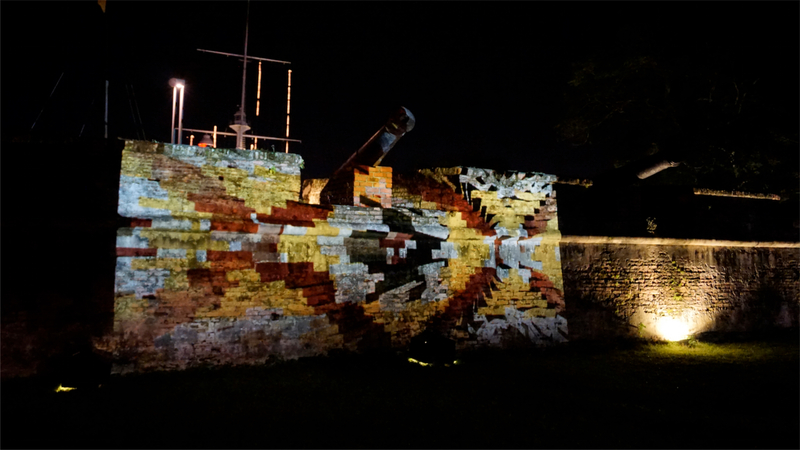 The result is a body of work ranging from short videos to participatory interactive projections. Japanese animator Chikara Matsumato’s work titled “3, 1 and 2”, the artist painstakingly created a new hand drawn animation work in response to his feelings about the great East Japanese earthquake. He questions the position of the self in different groups of people one can be in; at home alone by oneself, with another person like a partner or lover and lastly, with society. The famous Saloma song, Bintang Hati became the starting point for Anjo Bolardo’s film noir video piece titled “Bintang”. 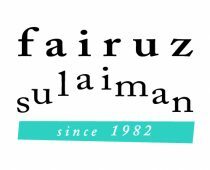 This fictional story set in Penang tells the story of a couple perhaps, yearning for a lost memory. 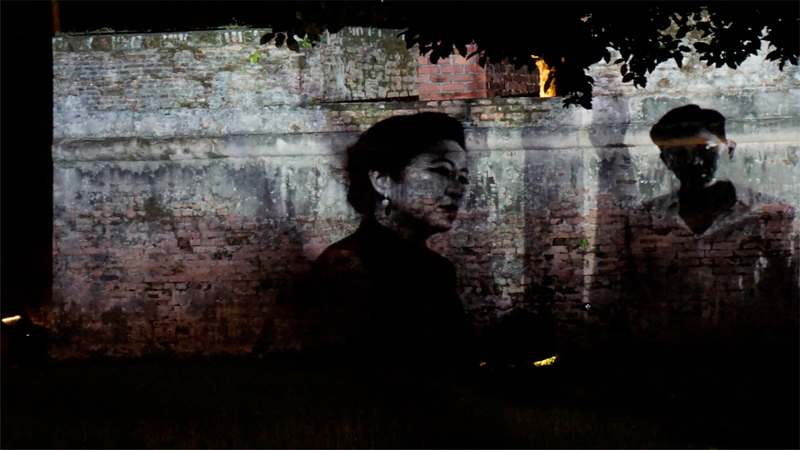 Projected on Fort Cornwallis with the nearby sea, the sound of the waves echo these emotions of longing and desire. 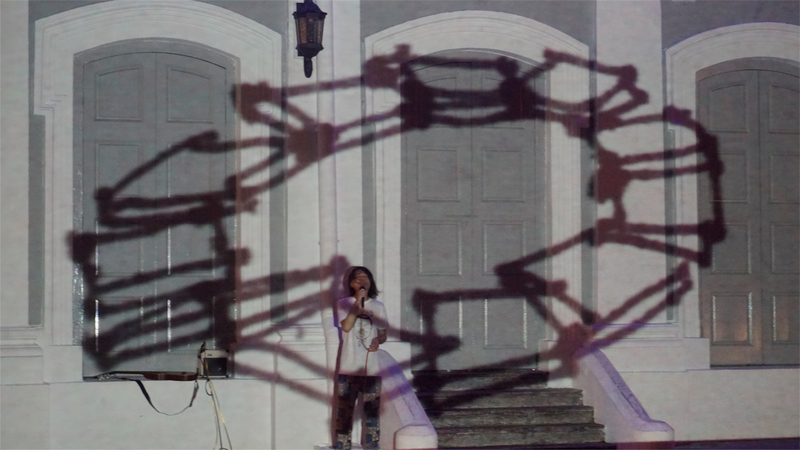 KL-based, Sarah Ameera is a media artist who experiments in visual artistry of the analogue and digital. Her interests are in the mysteries of life, science and art, while encouraging people to love and celebrate themselves. 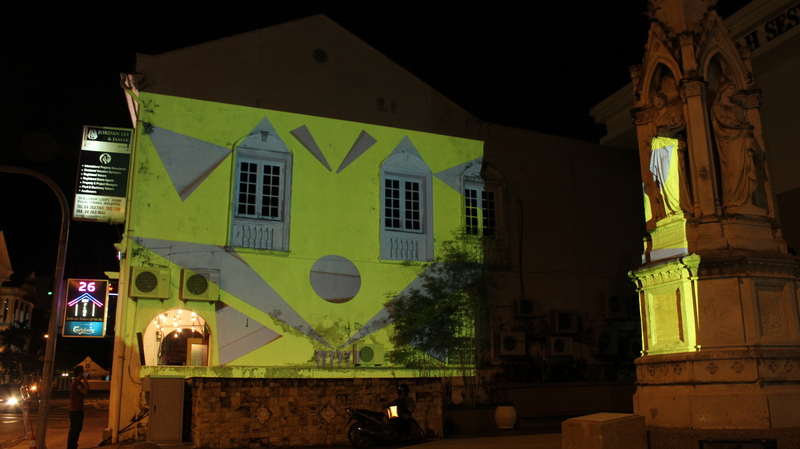 For Warung Wayang, she draws inspiration from geometric patterns of Penang Peranakan tiles to compose visual experiences of optical illusions to create a dynamic visual symmetry. 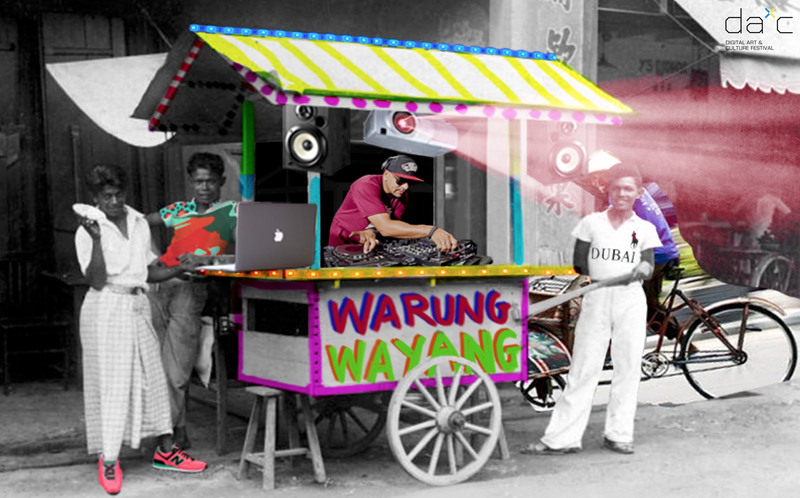 Pedendang Warung Wayang is Andreas’ installation on warung wayang. 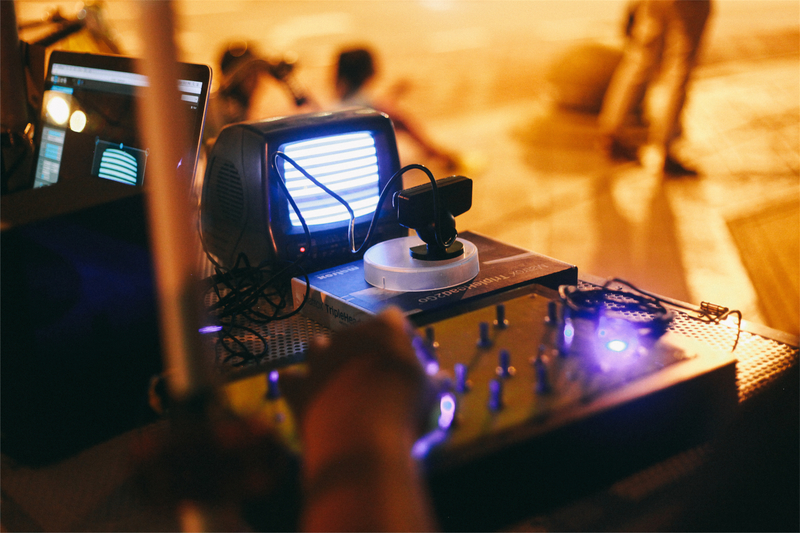 Instead of the initially proposed video or animation, he explores the mobility of the warung through installing sound instruments with sound reactive visual projections. Similarly to as how an Gamelan orchestra is played; the Pendendang Warung Wayang is concerned with evoking the spirit of togetherness with other audience. 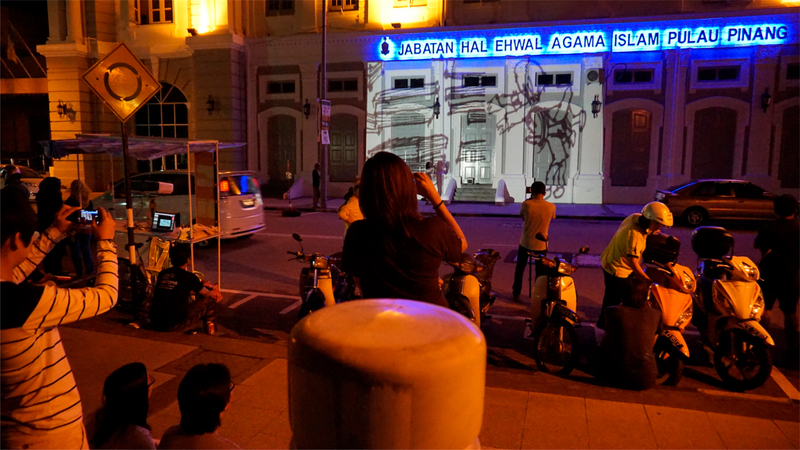 While each artist has a narrative to present, warung wayang in itself is a statement about the temporal nature of existence. It is a project that is at the mercy of “time” and “space”. It demands the audiences’ full attention before it starts to disappear (again). The short appearance at several small corners of George Town denotes the passing of time with its fleeting and superficial images; in contrast to the monuments and buildings of authority in the town.